2019 is already off to rough start when it comes to trust. 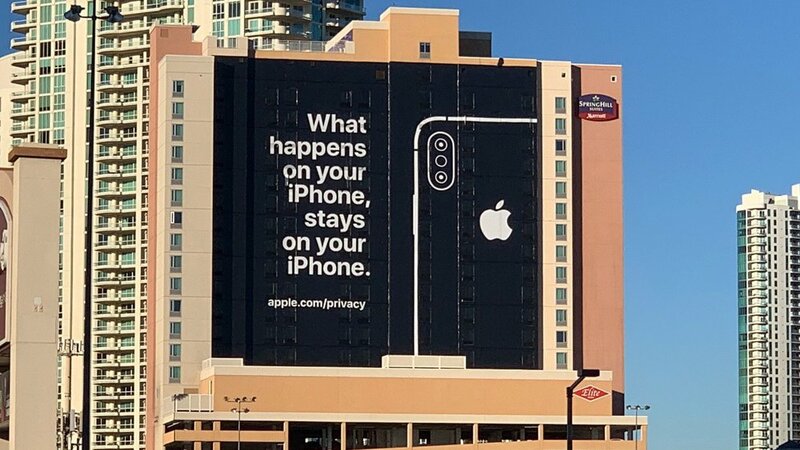 Users found out a bug in FaceTime could let others eavesdrop on their conversations and even allow third parties to activate their cameras without permission. Facebook and Google faced record fines for privacy violations. Mark Zuckerberg took to the Wall Street Journal to pen an op-ed defending his company’s privacy practices. It’s no wonder that 1 in 5 people believe “the system” is working for them, and 73% worry misinformation is being used as a weapon, according to Edelman’s latest Trust Barometer. People have naturally grown more skeptical of the world around them, and organizations that have asked for their information have abused it. Posted in Best Practices, Employees, Consumer Behavior, Consumer Experience and tagged with Trust, Edelman, Barometer, Apple, Google, Facebook, Fyre. January 31, 2019 by Taylor Wiegert. Social networks have gone corporate. From Facebook to Twitter to Snapchat and beyond, the more they move forward, the more alike they become. Instagram has essentially copied Snapchat feature-for-feature with Instagram Stories. Snapchat’s ad product strategy and revenue plans come directly from Facebook’s monetization playbook. Pinterest has launched ad groups to make the platform more attractive to big advertisers by making launching campaigns on Pinterest similar to launching them on other social networks. As marketers evaluate these platforms and what they have to offer from a product perspective, things look quite similar. Platforms have taken steps to make advertising on them and reaching consumers simple, easy and straightforward with off-the-shelf ad products. Any marketer can select an ad objective, upload some creative and be off to the races, and in most cases, that’s okay. But in other instances, that’s not enough. Posted in Best Practices, Planning and tagged with Innovation, Facebook, Twitter, Instagram, Snapchat, Pinterest. January 24, 2017 by Taylor Wiegert. Facebook organic reach isn’t getting any higher. You probably don’t need me to tell you that, but the latest numbers reveal that the average reach for posts from Facebook pages is at a measly 2.6%, meaning if you have 500,000 fans, you’re reaching about 1,300 of them when you post. When you think of all the time, energy and dollars that go into creating that content, it just isn’t worth it. That’s why it’s still surprising how much content is being shared by pages organically. They’re talking to themselves and the engagement they do get is negligible. This isn’t a post about Facebook not working. It’s a post about social platforms changing and what to do about it. Posted in Best Practices and tagged with Facebook, Reach, Organic Reach, Twitter, Pinterest, Instagram. October 27, 2015 by Taylor Wiegert. Facebook is annoying. It’s everywhere. Everyone uses it. It’s not hip. It’s not cool. It’s the utility of the web, and… it’s killing it. Every time I hear Facebook’s quarterly earnings reports, it never ceases to amaze me how well it’s performing and beating expectations. Now, Facebook’s valuation is still very high, and it has work to do to justify this valuation, hence investing in some commerce solutions, but Facebook has put itself at a level above all others when it comes to delivering a valuable social experience for all parties: brands, users and Facebook shareholders. Posted in Best Practices, Facebook and tagged with Facebook, User Experience, Adobe, Social Intelligence Report. July 28, 2015 by Taylor Wiegert. The new year is almost upon us, and there is no better time to look at what worked over the past year, what didn’t and then do the most important part — change. If marketers aren’t changing, they’ll undoubtedly find their success slowly but surely fading a way. The rules of online marketing are constantly being rewritten. Books need to be updated, new blog posts contradict old ones and marketers are asking why what worked before no longer does. In this space, routine is the enemy. Posted in Best Practices and tagged with Routine, Process, Social Media, Marketing, Success. December 30, 2014 by Taylor Wiegert. There’s been an uptick in discussion around disclosure when it comes to online conversations about brands and products from people with an interest in them. It was a constant point of discussion during the early days of influencer marketing, and one thing gets clearer each day — we’re all influencers in one way or another. Posted in Best Practices, Influencer Marketing and tagged with Disclosure, Social Media, Marketing, client, agency. December 16, 2014 by Taylor Wiegert.